Teddy was a loser. A laughing-stock. A shameful joke. He embodied the Washington Nationals’ franchise perfectly. 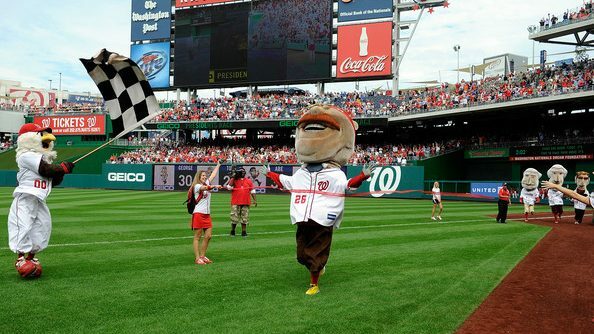 From 2005 to 2010, Teddy finished last in every race. The Nats finished last in the NL East those years too. Enough was enough. In the winter of ought ten, the Natinals Nationals decided to change their stars. 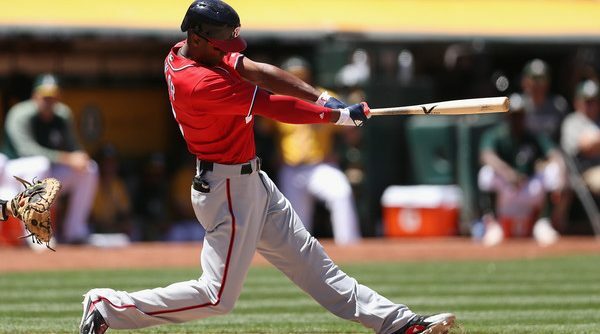 Ownership had just drafted Bryce Harper first overall, a year after drafting Stephen Strasburg first overall and weeks before Strasburg’s elbow would pop. They finally wanted (after years of needing) someone to change the culture. So to the surprise of the baseball world, they signed former world champ and Philadelphia Phillie, Jayson Werth, to more money and more years than anyone thought reasonable. 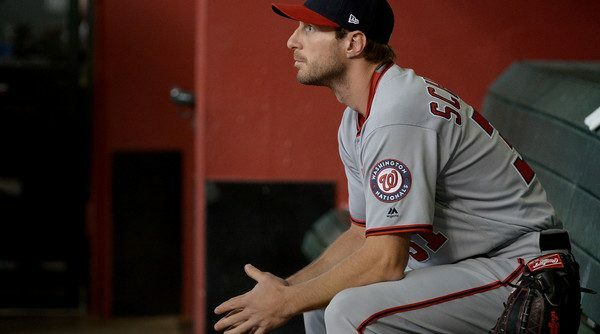 For the first year ever, the Nationals didn’t finish last in 2011. They’ve had winning records every year since. But Teddy still lost. Every time. He was still O-for-ever. 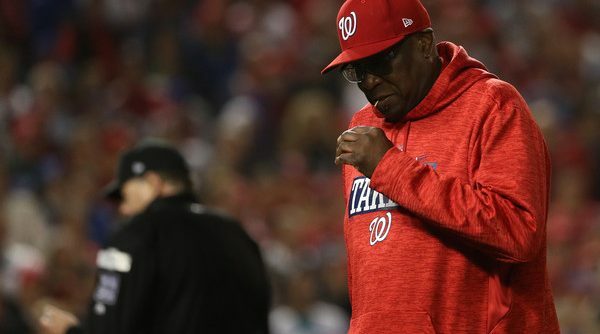 Many a great remembrance of Dusty Baker’s time will be written across the DC region this week. Rightfully so. Two winning seasons with two division titles in two tries is more than any other manager in our short history has done, and for that he will always be fondly remembered. Well, that and because Dusty Baker is simply an awesome person. Many people who derided his hiring instead of Bud Black just two short years ago — myself included — were very much won over by the charming skipper. His quips, his casual but confident way, his soft, smooth voice when answering questions. And, of course, all the winning. 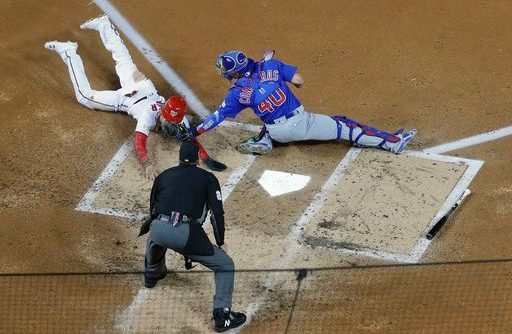 But success cuts both ways, and Mike Rizzo probably has the right of it when he says regular season victories and division titles are not the goal anymore. Pulling yourself out of your post-Game 5 malaise, even the most ardent fan can’t pretend like they are okay going on losing in the first round ad infinitum. Where the dividing line between Rizzo (or maybe, more rightly, the Lerners) and fans is who exactly is to blame. Note: there are many more obscenities in this article than those that usually appear on our site. If you find such things offensive, I recommend that you choose to read one of our other great articles by our amazing authors. Thanks. I’ve spent the better part of a day trying to decide what to say, and if I wanted to say anything at all. I am still struggling with that, but I decided it was better for my mental health if I just started to type and see what came out. After all, that’s how I started getting into this in the first place when I started my first sports Nationals blog in 2010. What’s below are the ramblings of an incoherent person, one still feeling a wide range of emotions related to the Washington Nationals latest NLDS debacle, another baseball season gone by, and many years of closely following this team. 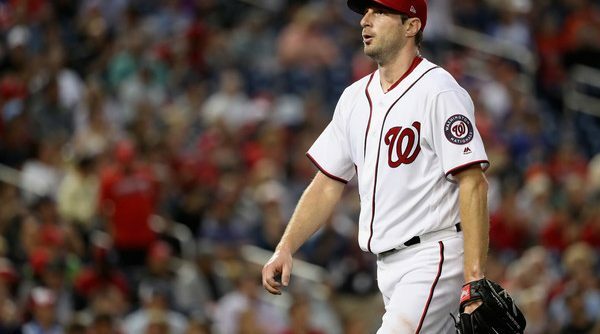 Who Would the Nationals Protect in an Expansion Draft? Today is the NHL’s expansion draft. If you’re unfamiliar, here’s a quick primer of the NHL expansion rules: each team is allowed to select a certain number of its players to protect. Any others are eligible to be selected by the expansion team, which must select exactly one player from each team. So, in the spirit of keeping things topical, I decided to take a crack at seeing who the Nationals would protect in an expansion draft. MLB had its own expansion draft 20 years ago when the Arizona Diamondbacks and Tampa Bay Devil Rays joined, and therefore has its own set of rules. 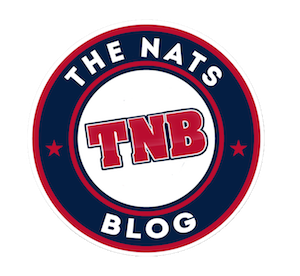 Continue Reading Who Would the Nationals Protect in an Expansion Draft? I know what you thought. The date was May 14, 2017. 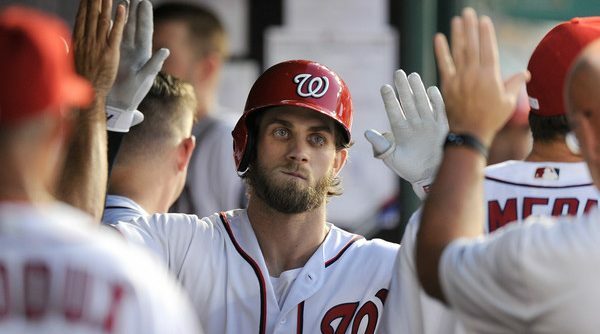 Thirty-four games and 154 plate appearances into his season, Bryce Harper was on an unholy tear through the 2017 season. His slash line of .384/.500/.752 with 12 HRs wasn’t unbelievable. In fact, it was very believable if you were one of those people waiting for Harper to repeat his 2015 monster season. On that day, you sat back in your chair, blithely put your hands behind your head, started off into the distance, and smiled. Once again you, learned prognosticator of baseball, were right again. 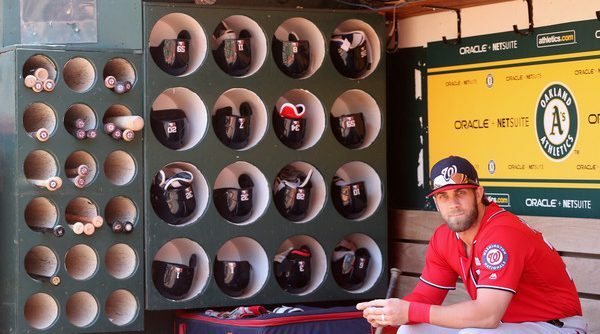 Bryce, without a doubt, was back. That is, until he wasn’t. NOTE: This post will be updated through the day as more mock drafts include the latest intel. All updates will be clearly marked as such. 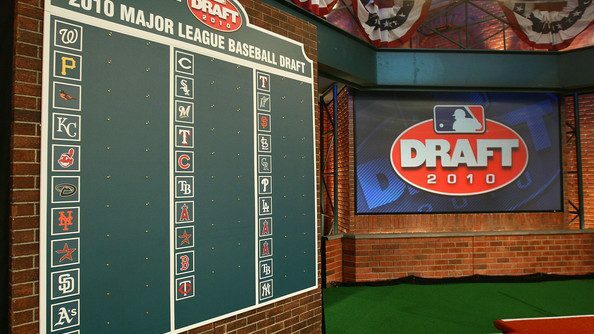 The MLB Draft is today, and boy am I excited. What to make of Michael A. Taylor? My esteemed colleague Joseph Seib echoed many analysts’ feelings in his piece on Taylor three weeks ago. Many have figured he would have come back to Earth by now. Buoyed by an unsustainable .400+ BABIP, a 35% K rate, and 5% walk rate most of the year, he seemed destined to revert back to his 0-fer nights with multiple strikeouts, and a Mendoza line batting average. But here he is, fresh off another solid offensive performance against the A’s, going 4-13, slugging .846 and striking out just twice. Everyone expects him to crash, but will he? Continue Reading Whaddya Say, Michael A?